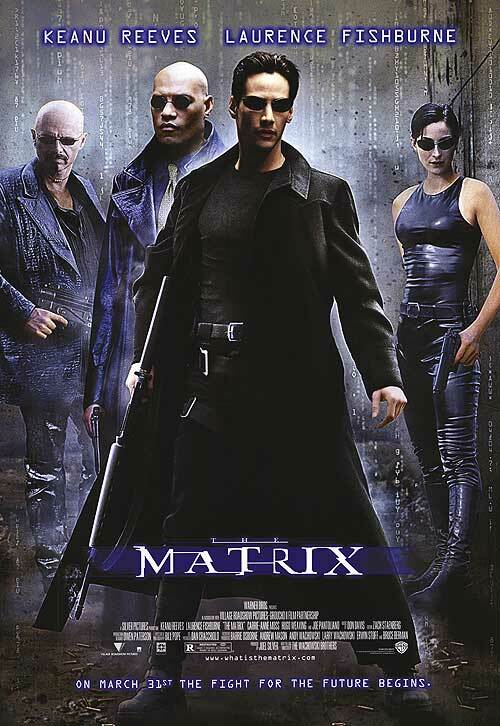 The Matrix – The fight for the future begins. * The original director was “The Wachowski Brothers” Larry has since become Lana that is the reason for the change to “The Wachowskis”. A fantastic movie with so much depth you need a philosophy major in order to understand all the nuances of this amazing trilogy. Neo (Reeves) is searching for something that he can’t quite put his finger on. He is contacted online and is told to “follow the white rabbit”. Neo is then thrust into a world that makes him question his very existence. He must confront self doubt and eventually prepare for his destiny which could mean that Neo is the fulfillment of a prophesy who will save mankind. If you liked this try: The Seventh Sign, Virtuosity.